I have to admit, I feel a little sad that this whole best of 09 thing is coming to a close. I’ve done a lot of reflecting through the whole process and enjoyed sharing those reflections with you, as well as seeing what some of you have shared with me. I’ve found some pretty amazing people out there doing their thing (I’ll be updating my blogroll shortly to share those people with you). I’ve remembered a lot of really great things about this year, and really been able to see the growth I’ve had this year. It’s easy to think we haven’t grown much when we follow ourselves daily without stepping back to actually see the growth. 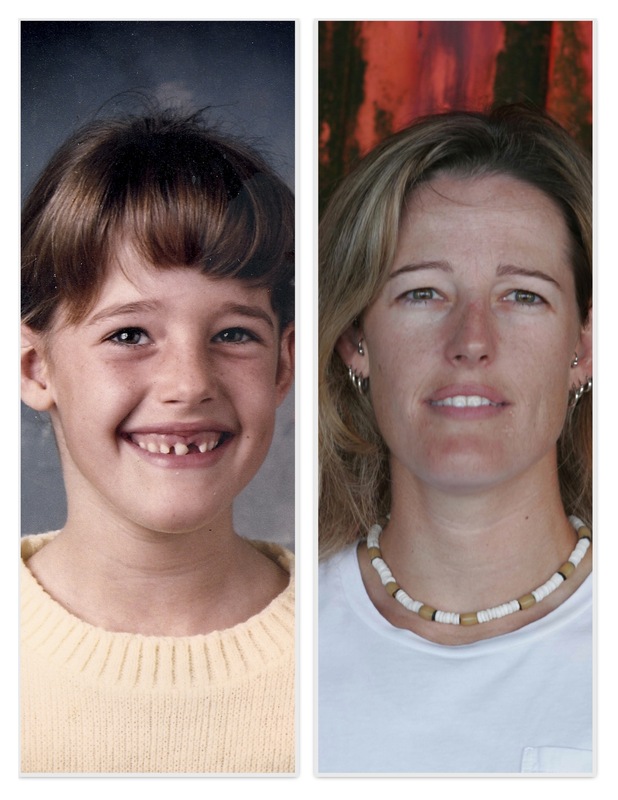 I sometimes look at a picture of myself in grade school and feel like I haven’t changed much. Until I look at a photo of myself now. I feel very much like a kid at heart these days, even if I do wear my adult responsibilities proudly (even if not always willingly). At first glance, I can see the resemblance between me and that grade school child. Looking a little closer reveals the slightly larger nose, the wrinkles laugh lines, the fully there grown teeth, the earrings, the hairstyle, the groomed eyebrows, the longer neck, the wisdom in the eyes, and the overall adult looking person who’s grown from that 4th grader from way back when. I can barely remember the goings-on of this year, let alone what might have been happening in my 4th grade brain all those years ago. But if I can imagine what I might have resolved to do back then, it would have been something fun. Last year I decided to do away with resolutions and simply resolve to be a better person in the coming year. Gwen Bell‘s prompt for today is Resolution you wish you’d stuck with. Well since I only had the one to stick with, I was able to stick with it pretty well. So let me dig a little deeper. Last year I imagined that I would simply do that every year and that would be enough. But looking back at my 4th grade self,I wish I’d done something more for her this year. I’ve been so focused on my adult self, that it’s become easy to forget about my inner child. I’m still alive in here, lady! she says to me now. I can’t go back in time and take care of her in 2009, but I can take care of her in 2010. I don’t have specifics, but I do know this: I have just set an intention to honor my 4th grade self in the coming year. I’m going to get to know her better and find out what she wants to do. I’m going to ask her opinion on foods and activities and books and business (yep, even on business). I owe it to her. I owe it to me. I am grateful to know you more through Best09. Love seeing the 4th grade you. What a sweetheart she is and you are…. Ah, the importance of regular dialog with our inner child. A place of innocence, possibilities and FUN! Thanks for sharing your intention for 2010 with us and gently reminding us about the sacredness of daily conversation with our inner child. I feel similar to what you wrote (about Gwen Bell's #best09 Challenge) – grateful for the beautiful people I've met – and for the chance to reflect. Glad to have found YOU!! This is great–what a wonderful way to reflect on inner and outer self–what would my 4th grade self say? HAHA! colander brain…now THAT paints quite the picture, lol! !